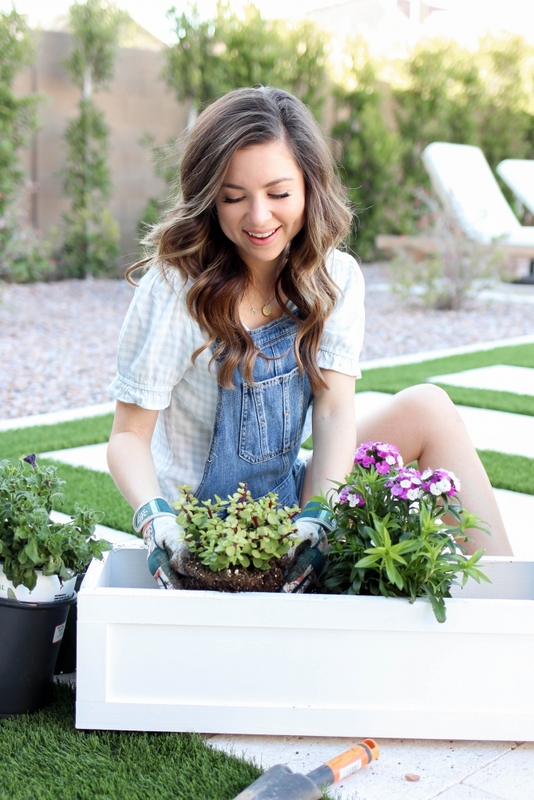 Well hello there my fellow gardeners and diy’ers! Last weekend I convinced Chris that we should do a DIY project that had been on my list. While he would have preferred to watch sports center that day I thought this was WAY better! Plus this space in the front of our house needed some pizzaz! 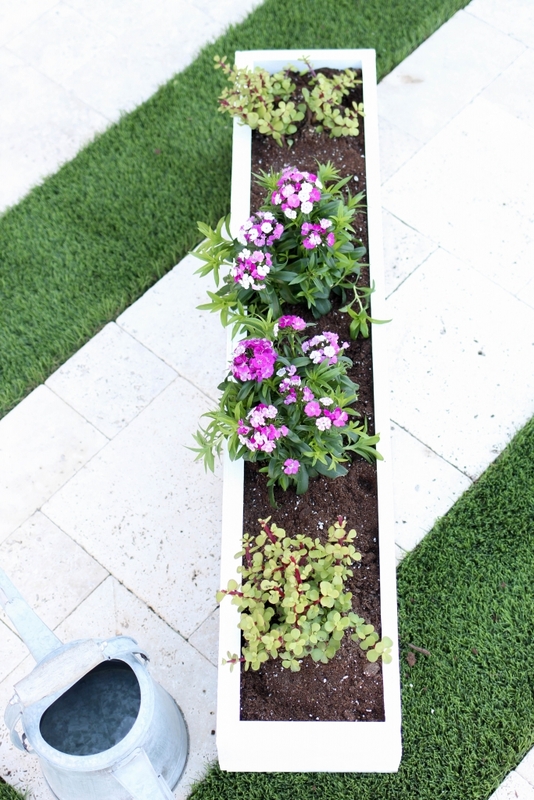 A window box is the perfect project to start off the Spring season! You can make these in all sizes but the supplies and instructions are the same. 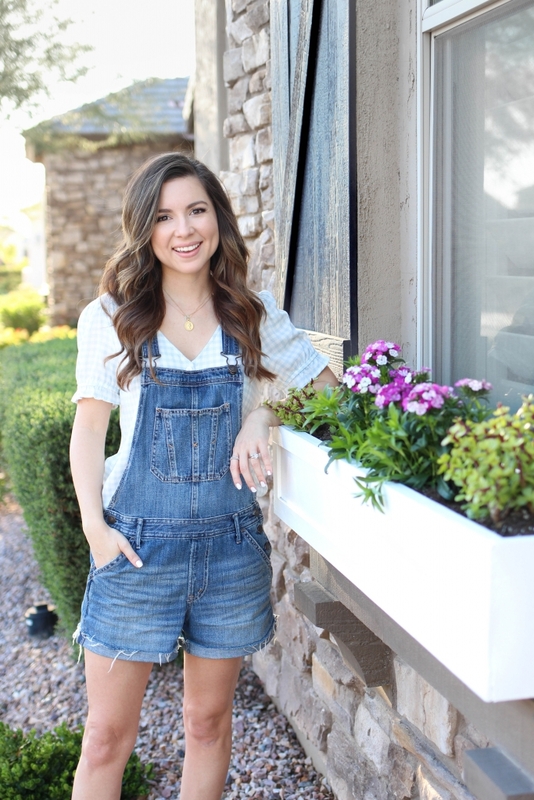 Are you ready to see how to make a window box planter?! 1 Handy Home Depot Associate to cut all the pieces! (having them cut is way easier, trust me!!) the gentleman that helped us was so nice and helpful! 1. On a covered surface lay down (42″) base board. 2. 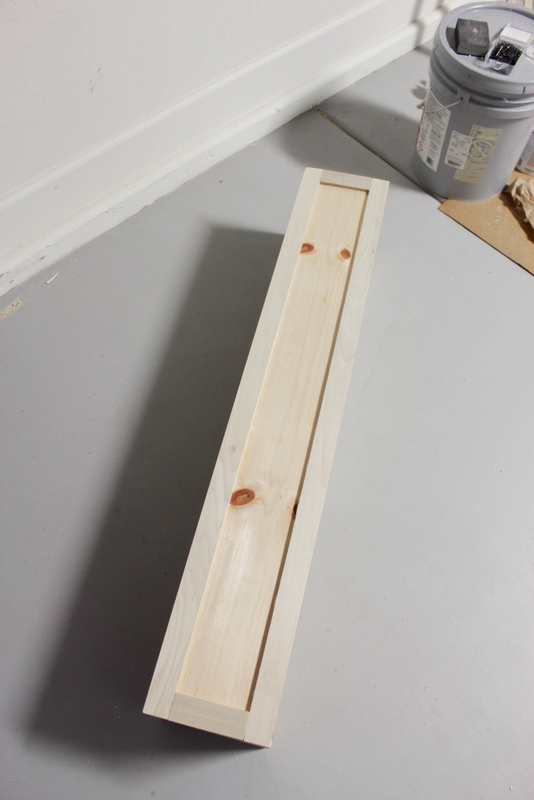 Place wood glue on the ends so that when you begin to put up surrounding pieces of wood it will create the box around base. 3. Once it has dried hammer in the long nails around the ends of the boards to secure the sides and ends. 4. Next using either nails, glue or both add trim to front of box and secure. 5. Hammer in the 3 With drill and 1″ drill bit drill 2 holes on the base board. 7. Paint and let dry overnight or till completely dry. 12. Place where you would like! 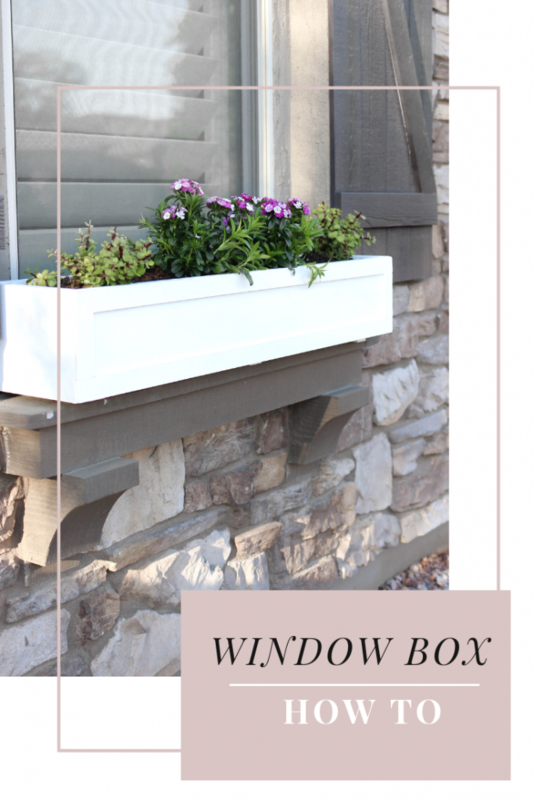 Isn’t This Window Box So Pretty! 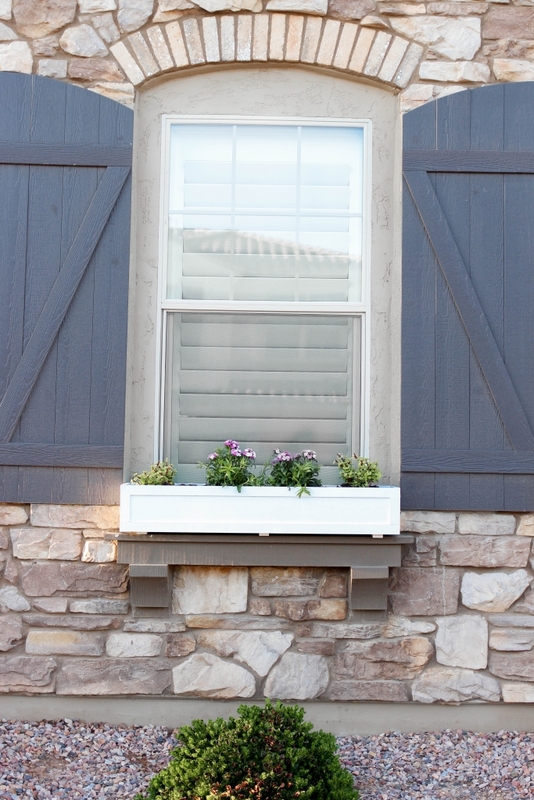 I love how these planter window boxes turned out! 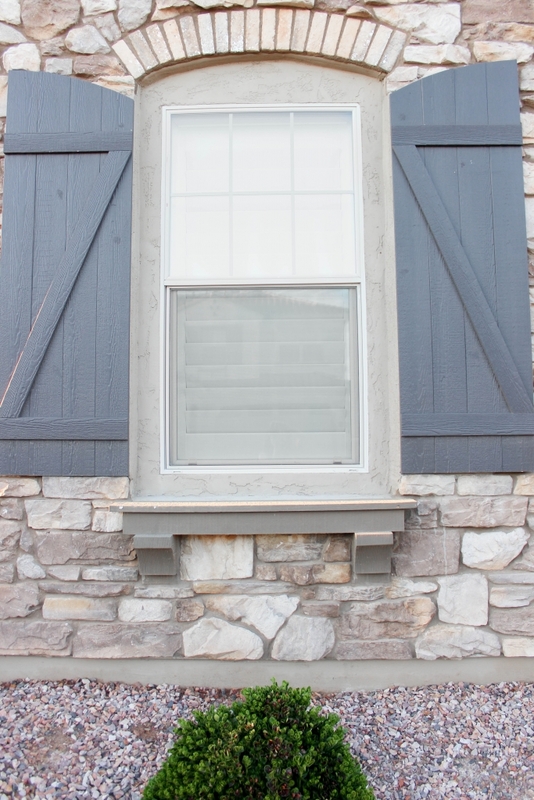 They really made this window in the front of our house pop! If you thought this tutorial was helpful, I would love if you pinned this or shared it with others! Thanks so much fo stopping by! I hope you all have a great weekend! PS you can see this post for how we used peal and stick wallpaper to transfer our powder bathroom!